if zero' brlzr' conditional branches. instruction are outlined in the table. the register rb value, depending on the CON bit (the condition flag). instruction are shown in the table. value of the program counter is saved to register ra. decimal value of the number in this register. The actual shifting is being done in step T5. 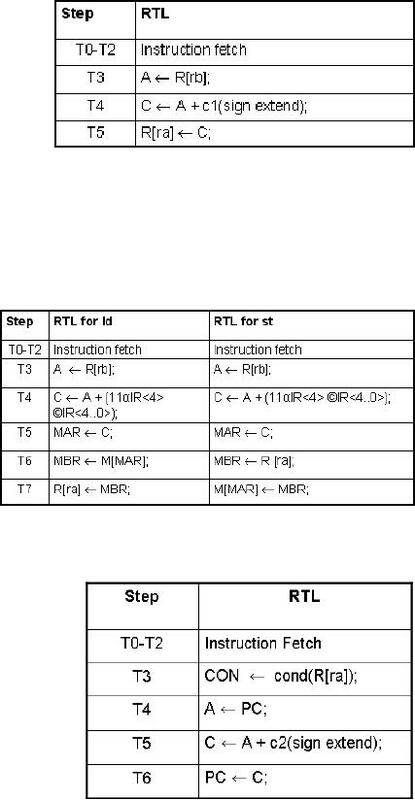 data from or to the memory and MBR would get the data from the memory. Why do we need to add AH and CH? AH together to represent 32-bit operand. 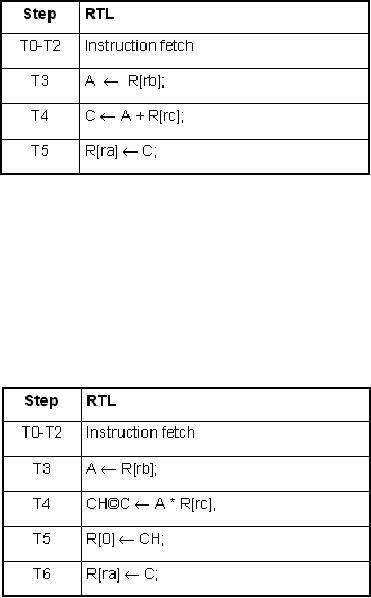 Instruction Fetch and 4 timing steps for Instruction Execution and 7 steps altogether. 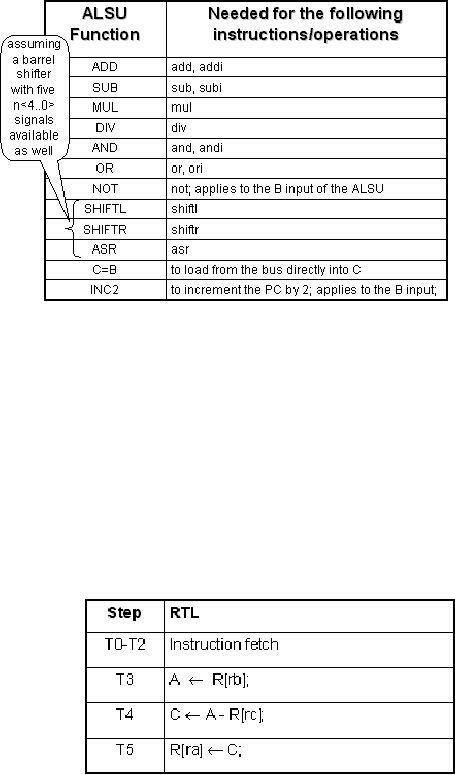 have the dividend at the input of ALSU unit represented by concatenation of AH and A.
execute the instruction while 3 to fetch the instruction. additional register R that it should be properly loaded prior to use the instructions e.g. of divide instruction would be wrong. 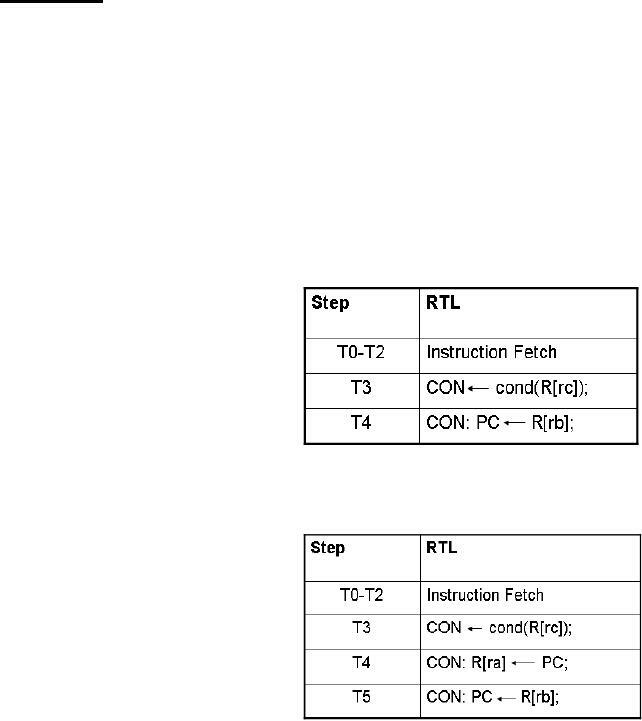 extension and bring it to C.
sign bit. We just copy it to the left most 11 positions to make it a 16-bit number. address in R[rb] and an offset taken from c1. How do we test the condition? effective address to which a jump would be taken. In T6, this value is copied to the PC. The unconditional jump instruction will be explained in the next lecture.